Over the christmas holidays I went snowboarding in the french resort of Les Arcs. It was great fun and some good training for the hard season ahead. I am now looking forward to our first race test which is now only a month away. Saturday 27th of November was the NG Road Racing Award Ceremony. I receved Three awards the Steve Lynham Motorcylcles F125 Class Champion Trophy, the Gerry Gardener Junior 125 Trophy and the Team Mixed Grill Rider of the Year Award. I also receved £250 prize money from Steve Lyhnam Motorcyles and a framed photo from EDP Photography. It was an up and down year in the superteens, I have learnt alot and am looking forward to next year. The first round at mallory park I qualified 17th and got two 15th places. At pembrey I struggled in qualifying and ended up 23rd, I had problems with gearing all weekend and only scored a best of 16th. Snettorton we had engine problems, especialy in qualifying where I was down in 27th but I still managed to get a 14th finish. Oulton park was another up and down weekend after another bad qualifying I finished 14th in the first race but after running off track at the end of the second race finished down in 19th. Cadwell was a much better weekend I qualified 16th and scored 13th, 12th, 11th and 10th finishes breaking the previous lap record. 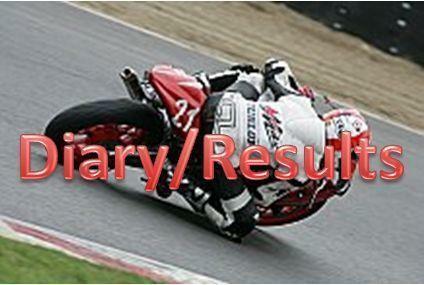 Brands Hatch was a dissapointing weekend in which I only managed a 13th finish. We only raced on sunday because I was racing at oulton park on the saturday. I had to start from the back of the grid(32nd) and in the very wet weather I had water get in the engine in race 1 which meant I had to pull out. In race two I battled through the pack to finsh 13th. Mallory park was the best meeting of the year I qualified tenth and had a best finish of 9th having hard racing all weekend. The final round of the at donnington I only arrived on the sunday because of racing at silverstone NG, I started last (33rd) on the grid and had crash in practise and only managed 16th in the first race and in the second race I raced through to 11th place. It was a great year in the formula 125 class at NGMCC, clinching the title at the last round. It was a dificult year with a bad start a Brands that included 5 break downs but I managed to salvage a 2nd and 3rd finish and sat 3rd in the standings.I had more setup issues at Cadwell but a bad start meant that I was down field, fortunately I beat series leader Tom Williams (#116) and closed the gap in the championship to 9 points and was now in 2nd spot. Pembrey was a hard fought weekend, I took the victory and the fastest lap on Saturday, then on Sunday it was the aniversary meeting in which I won best F125. Finaly on Monday I qualified on pole but was just beaten to the line by Tom(#116) which meant the gap stayed a 9 points. Snetterton was a fun weekend and on Saturday I made a last corner move on Tom(#116) but got out of controll a ran across the grass and ended up third, Sunday was a much more successful day I qualified third and in the final made an overtake around the outside into turn one to finish second closing the gap to 6 points. The second Pembrey was a stong weekend I went 1.5 seconds faster than ever before and claimed two 2nd places, I also took the series lead on Saturday and extended it to 10 points by Sunday. Anglesea was the hardest rounds of the season I suffered 2 break downs due to throttle cable issues, I also had two crashes but managed a 2nd on Saturday and on Sunday only managed a fourth. Oulton was the best round of the year I qualified on pole lapping 3 seconds faster than anyone else, in the final I won by 53 seconds with the fastest lap. Thruxton was a hard race I battled it out with Tom(#116) for the whole race and made a bid for the win in the last few coners but ended up second. The final round at Silverstone I qualified second, but in the final I took the lead in the early stages and won with the fastest lap and took the F125 title.